This is a great pan. I use it to make little angel food cakes and everyone loves them. I'm very happy that I bought it! I plan to use these for mini-meat loaves and mini loaves of banana nut bread. I made mini cornbreads for my gluteon -free stuffing!! Who knew I could make 8 mini's use 2 & freeze the rest!! I really like this pan, and plan to reorder another one. I wish I would have created this! It was used this last Christmas for banana bread and everyone loved it. I am enjoying baking banana bread in the form on mini-loaves. Wrap them individually to put in a lunchbox or share with friends. This was a smart purchase. This is neat to use for gift for the nursing home, grandchildren and guest. I like to make mini loaves for my family get-togethers. 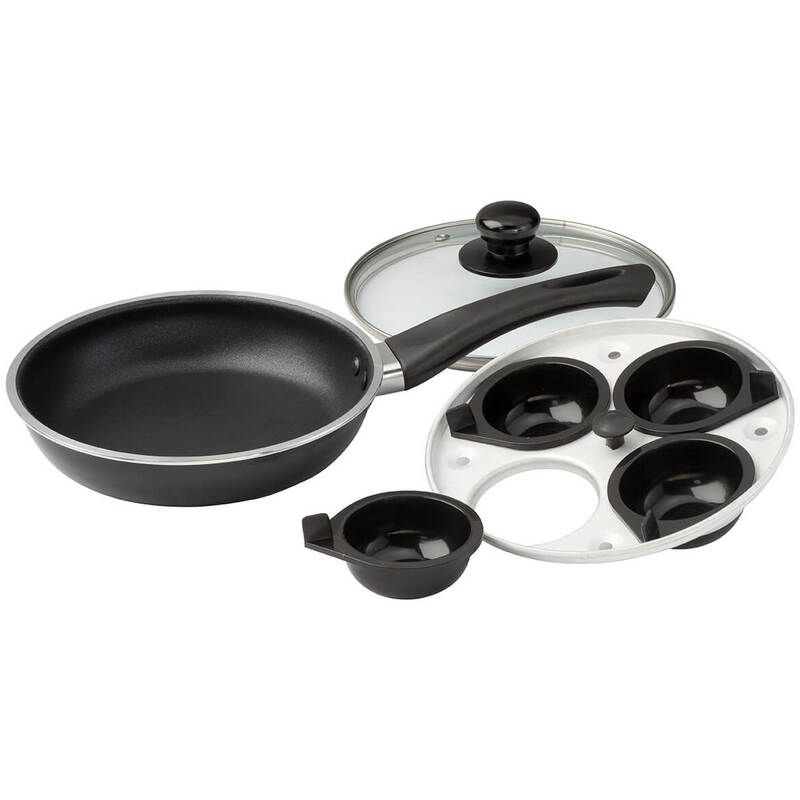 This pan is very easy to use and store. Great product! Able to remove anything that got done before others. This is great for smaller servings, and perfect kid size meals. I made meatloaf and they came out great but the loaf pan did bend or dip in the middle due to the weight ~ 1.5 pounds. This is the perfect size pan for me! A great product. Easy to use and clean. Perfect for making corn bread loaves for dinner to making zucchni bread for presents. 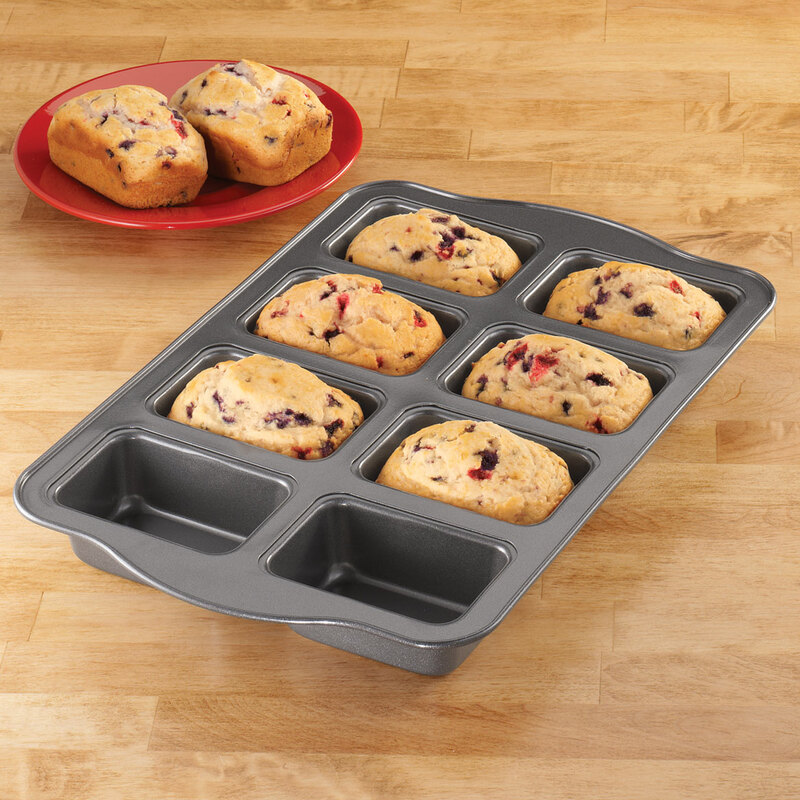 mini loaf pan is great for making individual small loaves of banana bread or small cakes, breads to share with a friend or neighbor! Excellant pan for small loaves of bread. i love to make banana bread. This pan was excellant for those small loaves which make great gifts. I have considered buying more. I have been wanting a pan like this for many years! 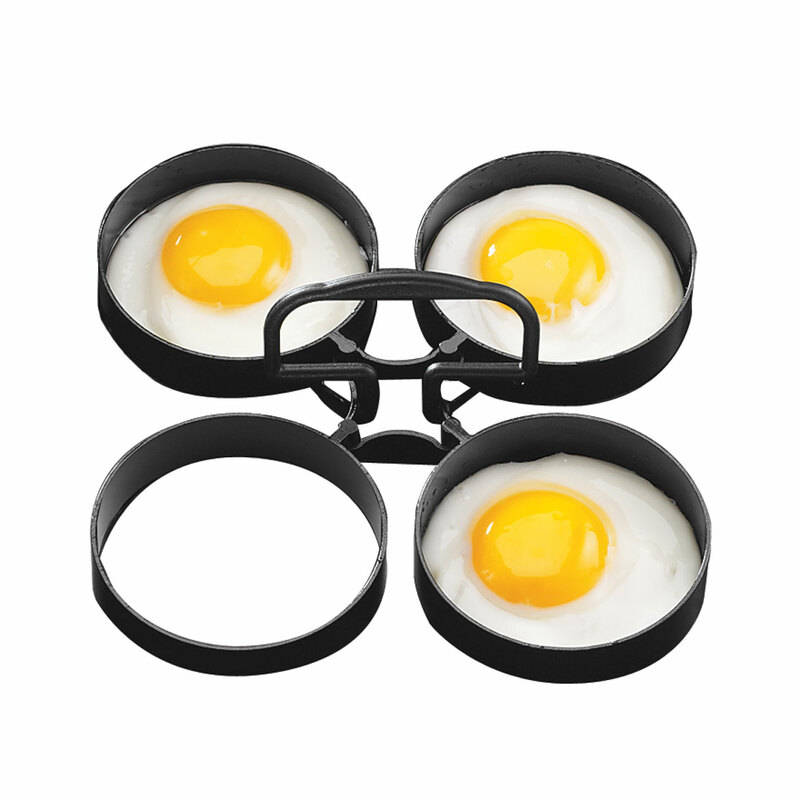 I have wanted a pan like this so I can make individual servings of many of the foods that I prepare. I have not used it often yet, but I will be with Christmas coming and needing to create gifts for several of my friends and relatives. This is great for gifts. I make small loaves of quick bread, just perfect for breakfast. Make great additions to gift baskets. Cooks a little faster. I even used them for individual breads for dinner. I used this pan the day I got it. It's great quality and non stock; my muffins came out perfectly! Love it! It cleans up real easy. A terrific mini bread pan! Every Fall I make pumpkin breads for my family and friends. These pans provide the perfect small gift bread size. Maybe two per person. I make quick breads all the time and store some in freezer to always have on hand for self and folks who come by to visit. Saves having to buy the throw away aluminum ones. I bought this to make cornbread. The loaves keep the cornbread from falling apart, and is very easy to clean. me and have them If I need to make any emergency gift's. I used this pan just this past week to make some chocolate chip muffins...worked very well and my family loved them. The result is a rather big piece of cake, but you can cut them in half for a perfect size. Great! I'm a diabetic and I'm allowed a certain amount of carbs per meal. 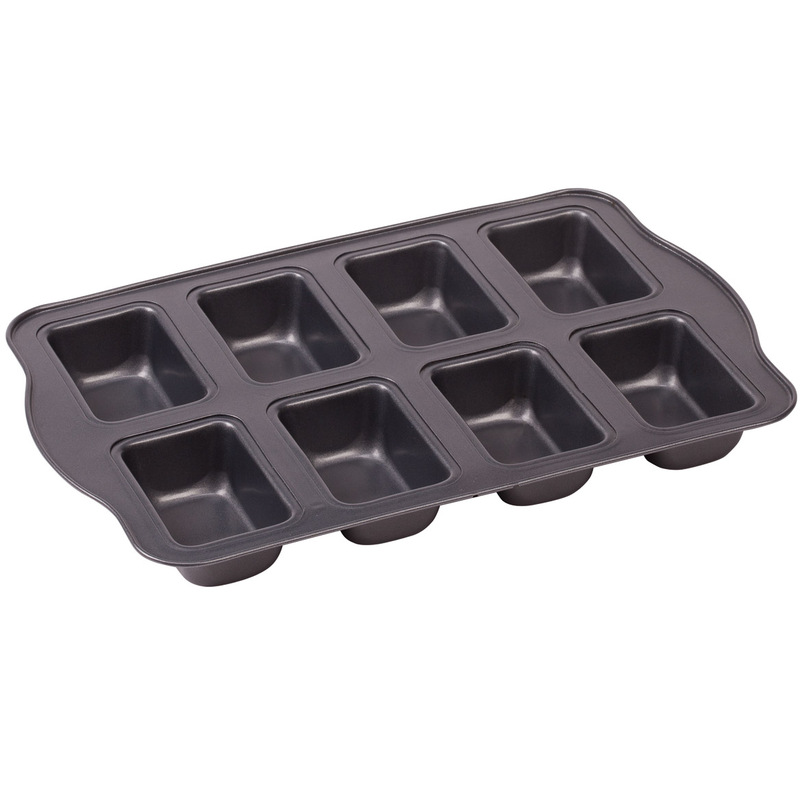 This baking pan is ideal with it's eight individual servings. Now there's no need to guess how much cake I can have. My wife and I will enjoy this pan. I love to give small gifts to my coworkers at Christmas. I plan to make sweet breads, wrap and basket them and put them in the break room. Perfect Pan right size and portions and quantity (8). Just right for family! LOVE IT!!!! I would buy this pan again. This pan is a gift to my daughter she loves it so much . She wants another one . She loves to bake so I'm buying her one more. Plus I get to try out her baked goods?? This was bought as a gift. She loves it. Be able to use to make up her holiday gift baskets. So much easier making small loaves. This is great for making quantity loaves for bake sales which I do often. Makes it less time consuming. I made several different kinds of breads for Christmas gifts, and the pan was perfect for this. Non stick (although I did use baking spray).. I really like it. I love being able to make several different breads in one mini loaf pan so now I am going to buy more of these as you can make perfect snacks to keep on hand for family or friends. This is perfect for making mini fruit cakes for the Holidays. Great for portion control sizes. Love this at the holidays for small loaves. This makes cute little mini loaves. I did pumpkin bread, banana bread, and white bread. Almost need two pans to do all the small loaves I want to give for gifts for the holidays. The size is just right, and it is very easy to clean. Very good for making mini meatloaves, mini quick breads, individual cakes, and probably others. These items can be wrapped and frozen. When removed they will thaw quickly and be ready for the table in no time. I used this for brownies and can't wait to make breakfast and muffins and mini meatloafs with cheese in the middle. The brownies popped right out and cooked evenly. I like this product because I can make individual items whether meatloaf or cakes etc. I think that is a great way to serve your family. And cakes made in this would be a great item for school lunches. Every thing about this little pan is great. I made my favorite cake and my family went wild. Out of all the sweets I baked at Christmas, that was the first to go. You can adjust how much you put in the pan. No slicing. Saves time for mom. I previously read that there was problems with sticking--so I used "cake release" like used in cake decorating pans. My blueberry loafs pop right out. This is going to be great when comes to gift giving. So glad I purchased this item. 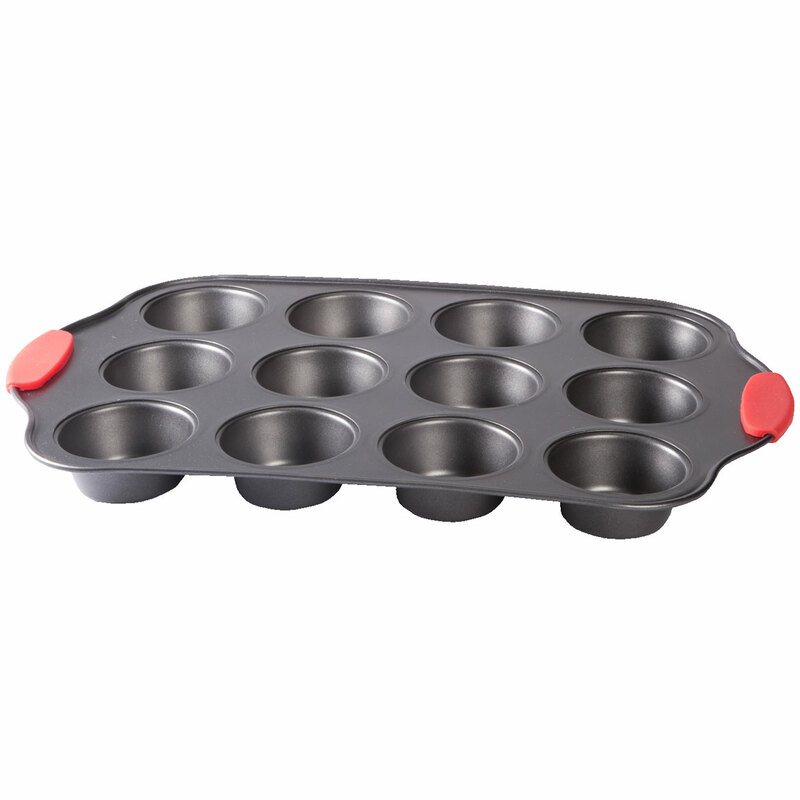 This is a fabulous loaf pan...I enjoy baking even more now! Everyone should have one if they bake. I use this pan with or without paper liners. I've found that quick breads and pound cakes are my favorite to bake. It is very easy to clean. Good product to regulate portioning. I love this little pan. During the holidays I make fruitcakes and this allows me to make small loaf fruitcakes for gifts. The pan is well made, easy to clean, and a great buy. Haven't used it yet, but will when lots of different breads will be baked. I often make home baked goodies for bake sales as well as food gifts for friends. This is the perfect size for mini banana breads, corn bread,even individual mini meatloaves, etc. I had ordered one previously and liked it so much I ordered another so I could do more batches at the same time. This is our second one so that proves we like it. Muffiins, cupcakes, whatever needs baking. I was hesitant to buy this at first. I was concerned that the quality wouldn't be that good and for the price I didn't want to take the chance. When it was on sale before Christmas I decided to take the plunge. I'm so glad that I did! The quality is excellent. I've been using it to make quick breads and corn bread for dinners and as gifts. Nothing sticks and clean-up is a snap. My only criticism is that I wish the loaves were a little bigger. Small criticism. I really like this pan. I make mine cakes in them. I just ordered another one due to various uses. I like this product for I can do 1 little loaf instead of 1 large loaf. I can freeze them for later down the line doings. I just love my pans.It made the best banana bread, now I'm going to do meat loafs next. Loaves are a little larger than a cupcake, but are nice for gifts. My son is on a special eating plan and the mini loaf pan comes in so handy. We make 8 small loaves of his bread and it is so easy to freeze the 6 extra loaves for later use. this is a great pan. It is sturdy, just the right size for single servings, & cleans up like a dream. It inspires me to create new recipe items because of the unique size. Bravo all the way!!! I made banana bread almost immediately after receiving them and loved how they turned out. They baked evenly and came out easily. I like to give a small loaf to my kids or grandkids to take home. It is also a nice size to put in the freezer and when our now small family want a sweet it is ready to eat and won't dry out. They are also a great gift-giving size. Wife loves to bake muffins but wanted something in a small loaf size. Tried another product but the loaves were to big. These are perfect...and the teflon makes cleanup easy. One last thing...the invitation to the review said "Dear Nancy". My name is Mark. I use it to make individual deserts. I especially like it for little baked pies and cobblers. I used it for mini meat loaves, too. They came out great. I really do like this baking pan. Great pan to cook foods to share with friends, mail carrier, managers, etc. ; e.g., corn bread loaves; brownies; etc. I made zucchini bread mini loaves for the first time. I did use olive oil spray on the pan first but came out easily and clean, no chunks of the bread sticking, etc as I removed them. Cute for gifts, will try meatloaf sometime too. Sturdy construction. I recommend the pan. Good for banana bread, will use over the holidays as gifts. I do not put pans in the dishwasher. Very nice size pan for gifts around the holidays, or if you just want a small loaf. This is great for making those holiday breads to give as gifts to friends, family and neighbors. I am going to order at least 1 more if not 2 more as then I can get all my breads of one kind done at once, great for mini cakes also. You can save time and money as you do not have to keep the oven going for long periods of time to get the job done. I use this mini loaf pan for gifting my breads and for testing more than one new recipe at a time. I also use it when I end up with too much batter for one pan and not enough for two. Rather than throw it out I make small loaves for 'taste testers'. This would be perfect for individual servings of meat loaf for making ahead and freezing til needed. Thinking about trying it as a gelatin mold just to see if it will work. Have not used it yet. but neighbor used it for fruit cake, it was great. Need to get a simple fruit cake recipe. 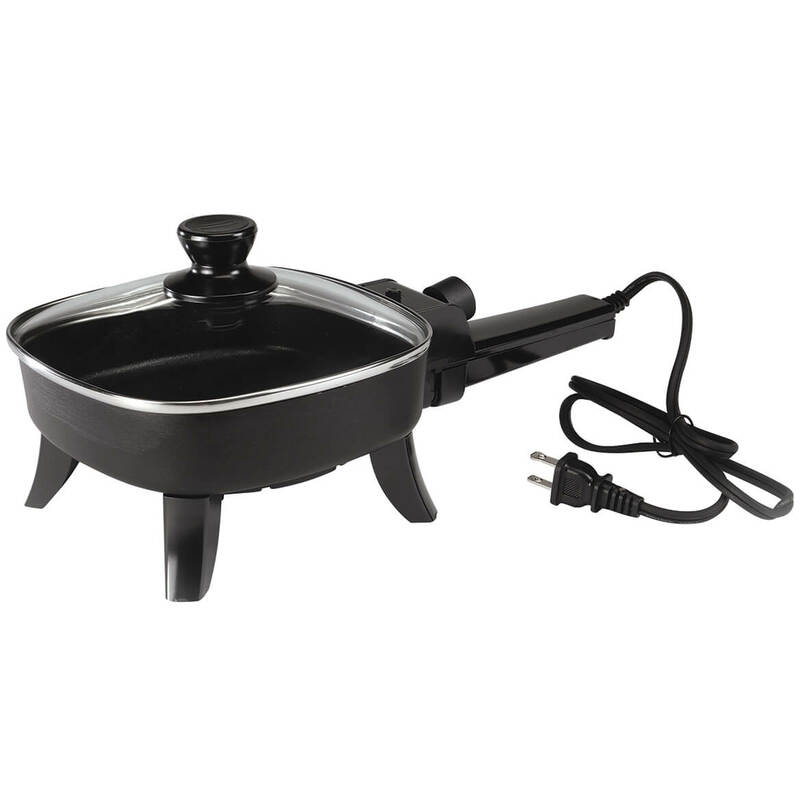 I use this pan to makd Mini-meatloaf, gift loafs of bread...very nice an cooks well. My husband makes banana bread in this pan, wraps them up in clear wrap, and gives them away as little gifts. Everyone smiles when they get one. Perfect size!!! Easy clean up!!!! Anxious to use this again. It will be great for miniture loaves for single lady neighbors in our building, for Christmas gifts. Making gift loaves of small loaves. THIS WAS A GIFT FOR MY DAUGHTER WHO CONSTANTLY BAKES PUMPKIN BREAD AS GIFTS FOR FRIENDS AND RELATIVES. SHE HAS A SMALL KITCHEN WITH MINIMAL STORAGE AREAS. SHE HAS MANY DIFFERENT SIZES OF BAKING PANS. THIS PAN HELPS TO KEEP BETTER ORDER IN HER KITCHEN. IT IS VERY CONVENIENT FOR HER TO USE ONE PAN IN THE OVEN INSTEAD OF MANY PANS AT ONE TIME, AS SHE HAS HAD TO DO IN THE PAST. I love this pan so much I bought two and one for my neighbor! I bake a lot and love sharing my goodies with family and neighbors by giving them a couple mini loaves. They enjoy getting them. I highly recommend these! I bought one before I saw this one that wasn't Teflon coated. Big mistake! This one is perfect! I love mine so much I got one for a gift . I like the pan it made very nice loafs. I can not wait to make corn bread in the pan; or meat loaf. I don't always have the mini foil pans on hand so this solves the problem! Love the Mini Loaf Pan. It is easy to use and is great for Breads and Cakes for gifts. It is easy to wash. I don't put mine in the dishwasher. It is a breeze to wash.
Made this with banana bread and they are the greatest. Have also used squash and made muffins. Muffins were great for a large gathering with family, everybody was able to have some. If you make too many you can always store some in the freezer. I really like these pans. I am happy with the quality of the pan. I searched everywhere for this pan, I was pleased with the weight andquality when it arrived andthesaleprice made me feel likeI had gotten a wonderful deal. The sweet beads and cornbread justfelloutof the pan,clean upwas a breeze. I used the mini cake pan to bake blueberry "loafs" for a luncheon I recently had. They baked perfectly, came out of the pan instantly and were beauriful as well as delicious. The size of the loaves are just great for one. I freeze the individual loaves and whenever I want a serving it is quite convenient. I don't have a nickname. Have not seriously tried out yet, but I bought with express purpose of having to buy throw away aluminum loaf pans. I make small loaf sweet breads to sell at my church bazaar.They are very popular. This pan should make me more efficient, being able to do a whole recipe at once, instead of 4 and 4 when I used individual pans. I also make a 2 lb meatloaf recipe into 4 small loafs and freeze, for single servings as I need. Two days after I got my new pan I made apple cinnamon and chocolate walnut muffins in it. Can you say scrumptious?? And they turned out of the pan so easily, no digging, or prying, or leaving the corners of the muffin in the pan. Next, of course, cornbread!! was smaller than I thought but works we. I used it to make meatloaf but it is really too small for that. It is good for baking. Cleans up really easy. I made banana cranberry bread and rubbed olive oil in the pan and the mini loafs just fell out with no sticking. Highly recommend. This product seems to be just fine in all areas but one. It's too wide to fit into my counter top oven. Decided to keep it if this oven dies and make sure I get a wider oven next time. I do grease the loaf wells, but they do tend to stick in there, making it difficult to clean. It's nearly impossible to find this item in stores, so order it from here! I make several different "flavors" of loaves in one batch--very convenient! The blueberry loaves and cornbread loaves I've made with this pan have been enjoyed by friends and family. I almost bought another one through Walter Drake but then found a similar size loaf pan that's even more durable at [...] for $3 less. The only problem now is that the two pans don't fit into one another and take up more space in my kitchen drawer. Made mini meatloaf, and brownies no pictures at this time. For small dinner party where you would want each person to have their individual portion. To make a pretty plate . 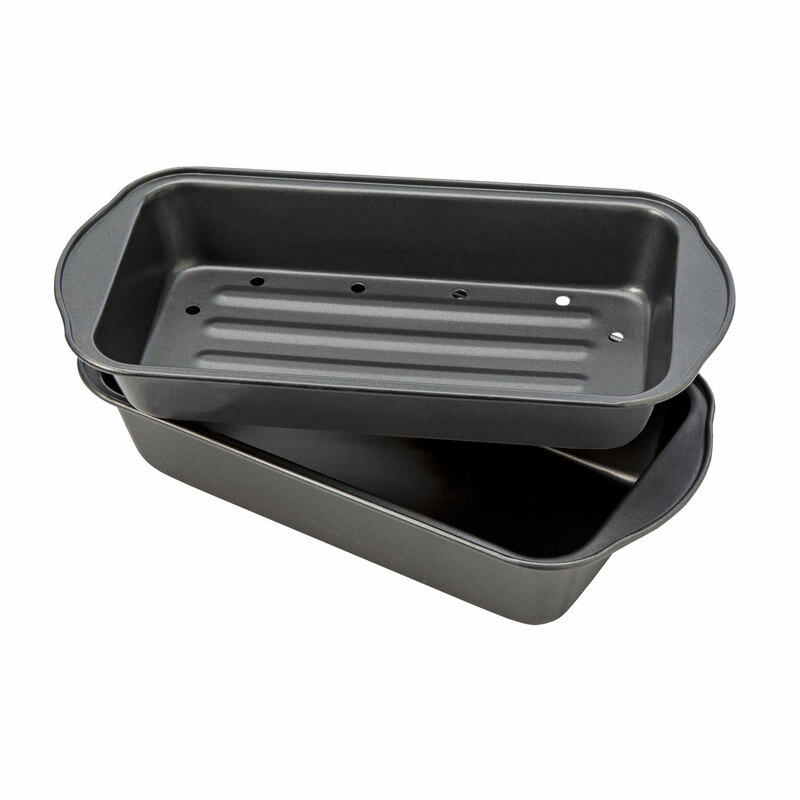 I used this mini-loaf pan to bake wheat-banana bread loaves. They baked quickly and I was lucky to catch them in time. If your instructions call for full pan timing, remember to cut the timing down to min-timing!!!! I ordered this the day after Thanksgiving, 2 weeks later it was to be del'd, however, the PO sent it back saying my addy was incorrect. My addy was correctly verified, however, MK told the PO to send it back. I went elsewhere to buy a mini-loaf pan to give loaves of bread to the homeless. Pan lost finish after 1st use & washing. I used it for mini meat loaves. It was convenient, and I liked the results. Finish started to come off bottom of pan after first use and handwashing. Iwant to make mini loaves of banana bread for gifts. Used one at my son's house and loved it; made pepperoni rolls and it was the perfect size. first time to buy, can't give a review yet. Love having something to cook small cakes and cornbread! To bake corn muffins, bread or other snack treaty. So I can make/bake mini loaves for bake sales for church and work. I used to have a pan like this, but gave it away. Now I want to make little breads or cakes for Christmas, so I'm buying another one. Can make mini-meatloaves for me instead of one big one. Then I can freeze them once cooked and nuke one for dinner. A Birthday present for my neighbor so she will quit borrowing mine. i make a lot of small loaves and have been wanted one of these. Price was right. Wanted to try smaller portions when I baked my quick breads. This works perfectly for my purposes! to make multiple loaves for freezing- before the summer heats up. like corn bread or blue berry muffins or nut bread. To make mini loafs without the hassle of using several pans. I've always wanted my own set, finally I will get them! I selected this to make holiday loafs of pumpkin bread for elderly family members. I often hold bake sales for fundraisers. Mini loaves of pumpkin bread sell very well. A variation on the traditional corn muffin. Makes a great size to keep baggies. to make mini loaves for gifts. Is this small enough to be used in a toaster oven? BEST ANSWER: Thank you for your question. No it is not. We hope this information will be of help to you.